Finding a new apartment in Toronto can be a hassle, but using a great rental website can make your search a lot easier. Whether you are looking for a specific size, location, or number of bedrooms and bathrooms, apartment hunting websites can save you time by narrowing down your hunt to include your precise needs. With a low vacancy rate Toronto is becoming one of the toughest cities in Canada to score a good rental at a reasonable price and in a desirable location. Make sure to start your search at least 3 months in advance of needing to move. It is also important that you meet the property manager or landlord and sign a lease before sending any funds towards your future rental. 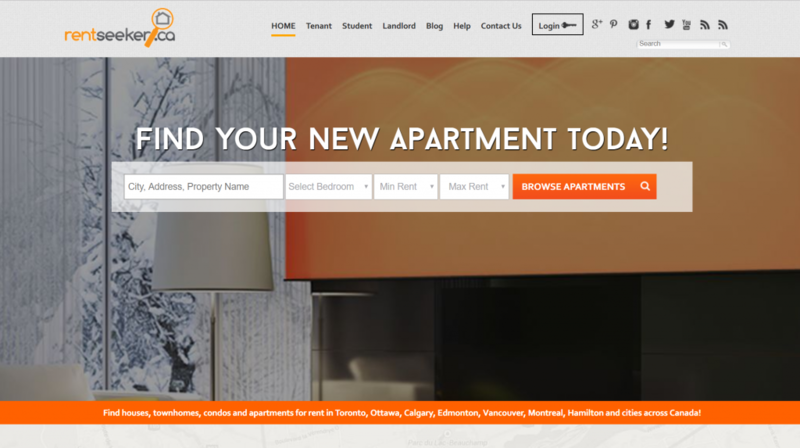 Rentals.ca is a national apartment rental website that serves over 100 cities across Canada. 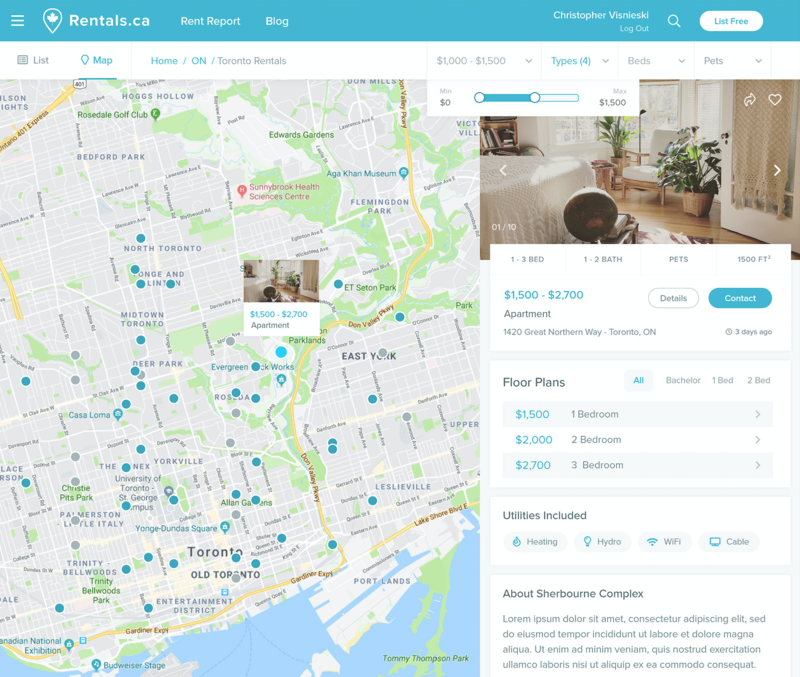 Rentals.ca features search tools that let you cater your search for Toronto apartments for rent by price range, bedrooms, bathrooms, property type, and whether it is pet friendly. In addition to being easy to navigate, the site features a map view for rental listings, which is great for finding properties near your school or work. Rentals.ca also has 3D virtual apartment tours included in some of their listings. 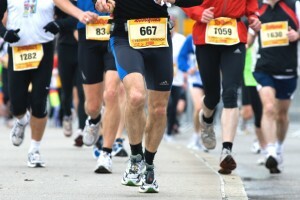 This allows you to view their units in a more in-depth way than typical photo listings. 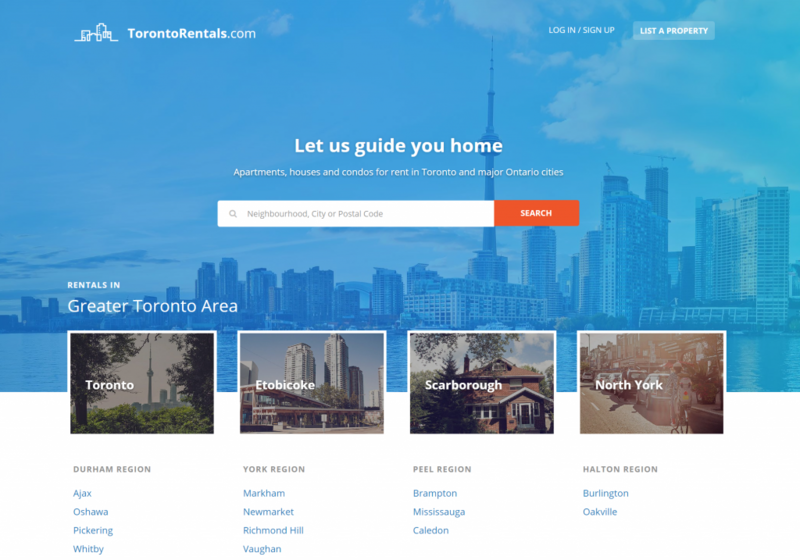 Servicing Toronto and the surrounding GTA since 1995, TorontoRentals.com is a great apartment listing website for finding apartments, condos, and houses for rent. Filters allow you to narrow down your search by price range, property type, bedrooms, bathrooms, and whether or not the unit is pet-friendly. From there, results can be listed or shown on an interactive map view which allows you to see which public transit routes are nearby. 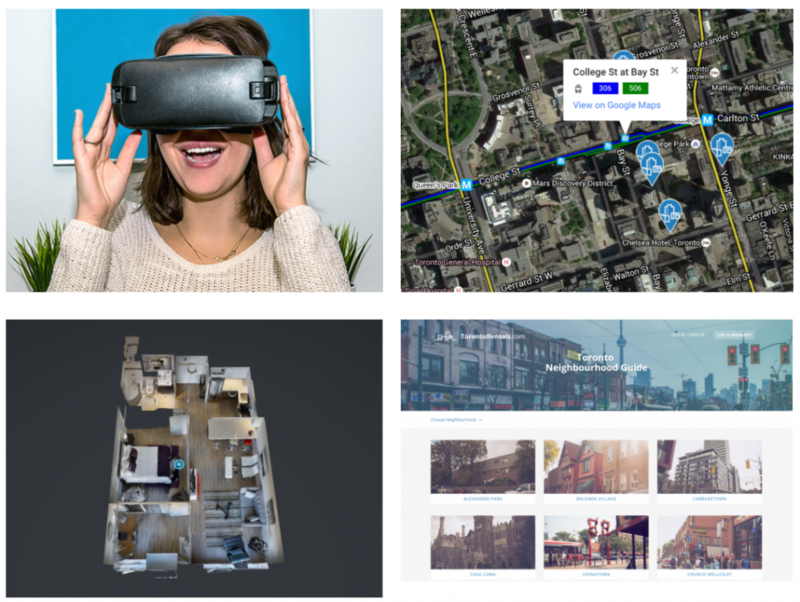 As well, Toronto Rentals has recently launched 3D virtual tours of properties that can be viewed with virtual reality headsets or in 3D on your phone or laptop. This feature is great for checking out a listing before you actually visit it! 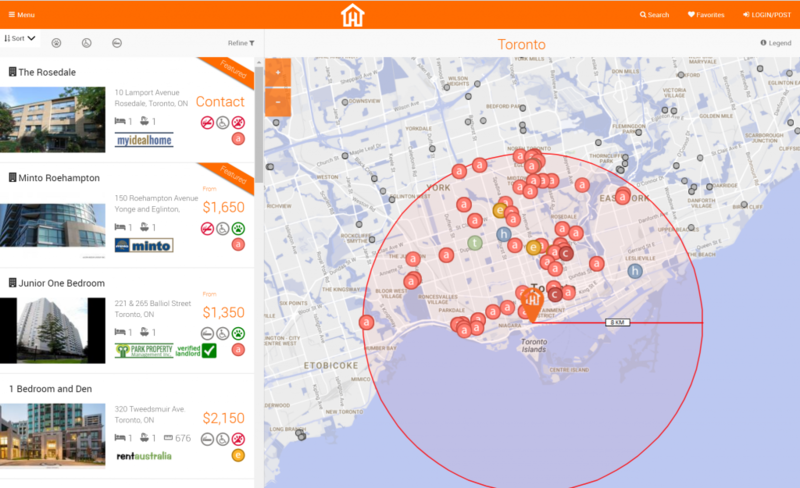 Beyond rentals, the website also includes neighbourhood guides for those new to the city and plenty of helpful articles about renting in Toronto. 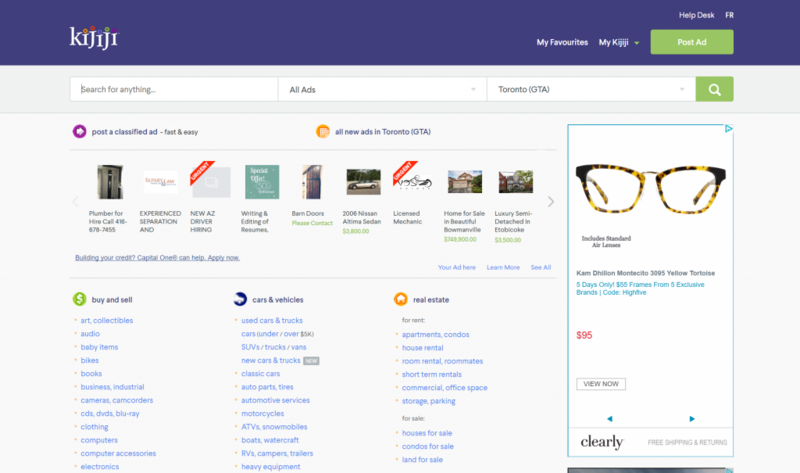 Selling everything from cars to concert tickets, Kijiji is a hotspot for second-hand items and a good place to search for apartments being listed by independent landlords. Make sure to read through listings carefully to avoid scams on this site, and remember that if something seems too good to be true, it probably is. This includes ensuring you visit any rental property before you agree to be a tenant, and making sure you get anything a landlord promises to you in writing before you begin your lease. 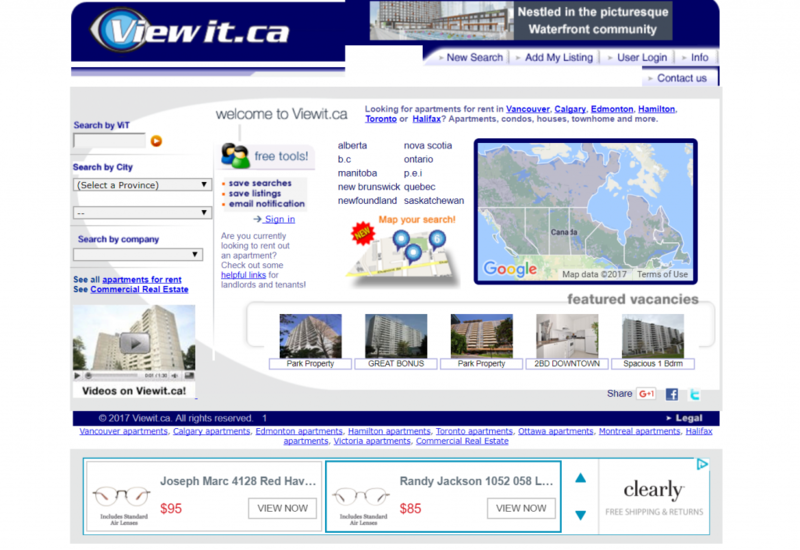 Viewit.ca has been a staple in the Toronto rental industry with their widespread coverage of rental signs. View it’s website allows you to narrow down your search by city zone, bedrooms, bathrooms, property type, and whether the unit is furnished. Select View it listings also feature video tours. PadMapper is a rental website that focuses on the geographical aspect of finding a property (or “pad”). 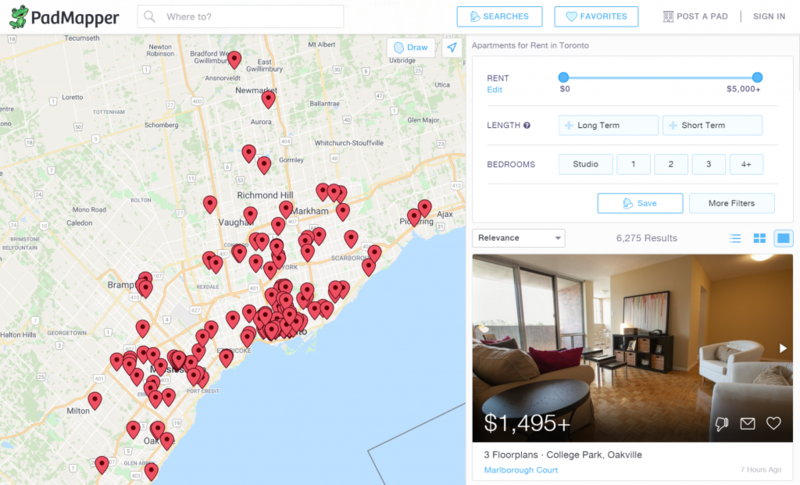 Padmapper search tools allow you to narrow down your results by price range, bedrooms, and whether you are looking for a short term or long term rental. As well, with PadMapper you are able to draw onto their map to outline the specific area you want to see results from. 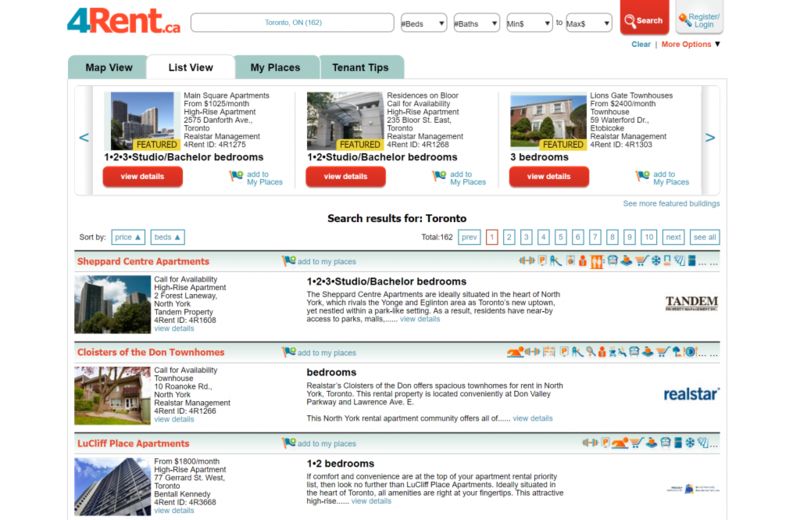 Rent Seeker is a rental agency in Toronto that has a lot of search options to help you hunt for a property. In addition to price, bedrooms, and property type; you can also select which amenities you’re looking for such as air conditioning, swimming pools, balconies, and parking. 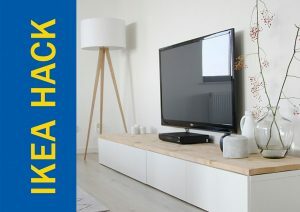 This is great for renters that have very specific wants in their hunt for a new place. 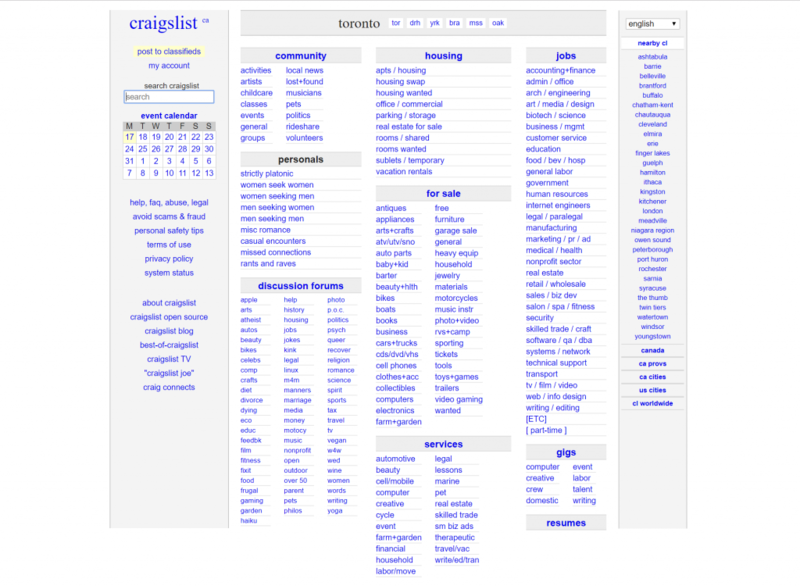 The original online classified advertisements website, Craigslist is still used by many independent landlords to list their units. While this makes it a great place to find deals, it also makes it susceptible to scams. Make sure to do your due diligence with any property you find on here to ensure it is a real unit being offered by a trustworthy landlord. 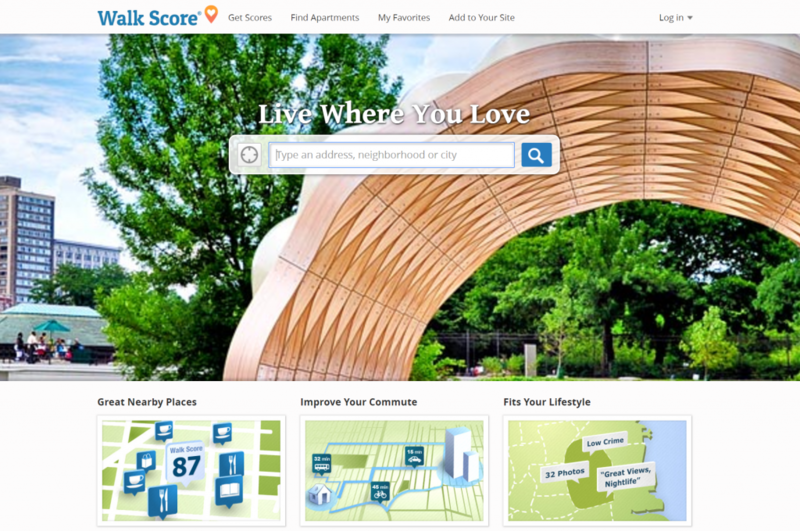 Walk Score’s main feature is that it focusses on how walkable a property is from nearby restaurants, coffee shops, grocery stores, and other attractions. As well, you can input your work or school to see what your commute would look like from a specific property. This is great for downtown Toronto and saves you the added step of checking Google Maps for similar information. Gotta Rent is owned by Metroland Media, the same company that owns the Toronto Star, Toronto.com, and Workopolis.com. In addition to price, property type, and bedrooms; you can also search for listings on their site based on a variety of features as well as whether a property is near schools, parks, or other community amenities. Rent Hello lets you search for properties near any location, school, workplace, or point of interest. Search results can be filtered by price, bedrooms, smoking or non-smoking, whether a property is pet-friendly, and by selecting specific property management firms you want to see listings from. Their website also features a blog that actively posts about rentals properties and other related topics. Casalova is a realty brokerage that features properties for both renting and purchasing. Beyond price, bedrooms, and bathrooms, you can also filter results on their website by availability date, square feet, and whether a property is a new development. Overall, this website is good option for those debating between renting or purchasing their next home. 4 Rent’s primary channel of advertising is through their bi-weekly magazines. However, their website’s key features are its map and list views for properties, as well as a Tentant Tips section that includes articles surrounding renting and related topics. Condos.ca is a hub for everything condo related. Their websites allows users to rent, buy, or sell condos and offers exclusive access to pre-construction opportunities. There’s even a luxury condo section for those of you with deep pockets looking for a new home. For those of you set on the condo lifestyle, condos.ca is a good place to start your search. 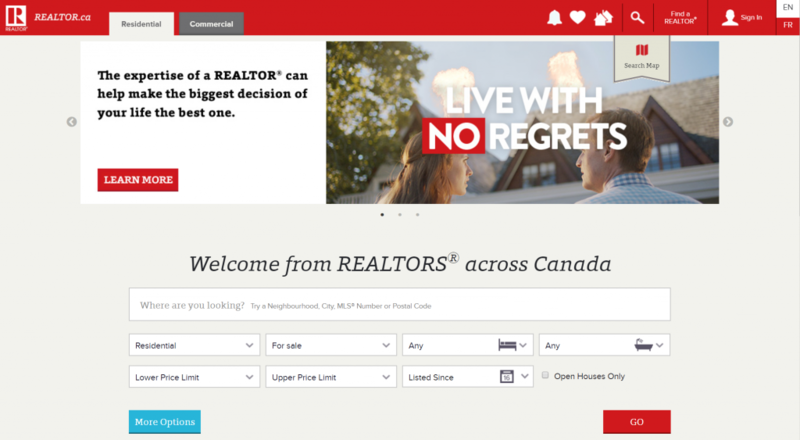 Realtor.ca is owned and operated by the Canadian Real Estate Association and includes both residential and commercials properties for purchase or rent. Each listing comes from a licensed brokerage so while you won’t encounter any scams, you also won’t find any independent landlords listing on here. Your search can be filtered by price, bedrooms, bathrooms, and by listing date. 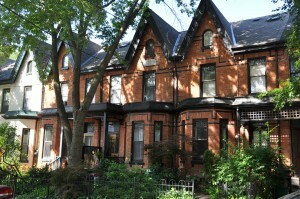 Cabbagetown in 2020: Still worth the hype and expensive rent?